Water Engineers for the Americas (WEFTA) was founded in 2002 by a group of engineers, and professionals at Souder, Miller and Associates (SMA), an engineering firm located in Santa Fe, NM. Built off their prior experience working with Habitat for Humanity, U.S. Public Health Service, and with Waterlines, another non-profit already doing work in Central and South America, the founders of WEFTA wanted to create an organization where they could connect donors and volunteers directly with communities throughout Latin America, and together develop ways to alleviate the problem of unsafe water supplies and inadequate sanitation. 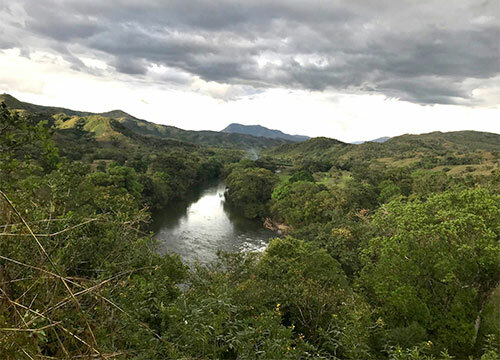 Since its inception, the number of volunteer professionals has grown to over 50 engineers, scientists, and water professionals connecting donors and NGOs with over 100 indigenous and underprivileged rural communities from Chiapas, Mexico to the altiplano in Bolivia. Many of us have been given opportunities in life through our education, exposure, access and life experiences that others in developing countries have not. Yet, all of us, at our core, are the same. In each person lies value. In each person lies the potential to make the world a better place, and with our common focus on water, sanitation, and capacity development, WEFTA volunteers, donors and determined community leaders help unlock that potential inherent in all of us. 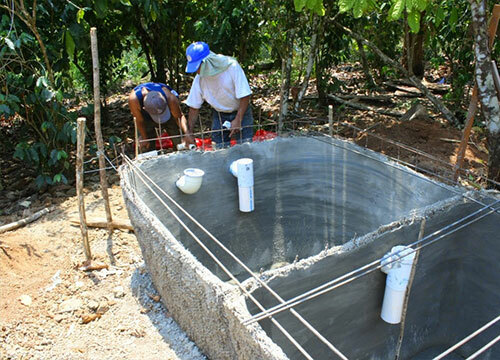 Water Engineers for the Americas strives to create a link between communities in Latin America who lack access to safe drinking water and proper sanitation; professionals wanting to apply their expertise on a volunteer basis; and donors who want to share their financial resources to provide water, sanitation, and capacity development to their less fortunate neighbors throughout Latin America. WEFTA invites, encourages, and helps facilitate donors to become as involved as possible with volunteers and the communities. Once these connections are made, all our lives are impacted. WEFTA organizers and volunteers seek to promote community-based, self-help projects that encourage respect, pride in ownership and personal relationships to engage communities in the long-term buy-in required to build and maintain a water and/or sanitation system. Some of these projects entail ensuring safe and reliable water supplies and environmentally responsible solutions for sanitation, not just for the homes of the communities, but also local medical facilities and schools. WEFTA has passionate, professionally trained volunteers whose experience exceeds that of many non-profit organizations with paid technical staff. Each of our professional advisor volunteers has many years of experience in the fields of engineering and/or hydrology and donates his or her work. 100% of donations go directly toward the water projects themselves. WEFTA’s professional advisor volunteers provide assistance with technical design or design review of water or sanitation systems, project verification, project funding, monitoring of projects and community long term sustainability. Many of our professional volunteers have experience living and working at a grassroots level in Latin America and speak fluent Spanish. This gives them a cultural sensitivity, understanding and deep respect for how various communities work. Some of our volunteer professional advisors live in-country (for example, Panama, Honduras, Bolivia, Peru, and Mexico) where they can support and follow-up on current or completed projects and respond easily to inquiries from communities interested in working with WEFTA. They also inevitably are much more aware of local customs and regulations as well as the feasibility of appropriate technologies.